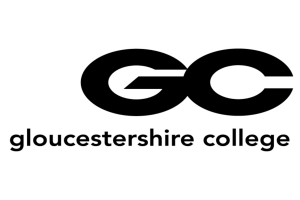 Our fantastic relationship with Gloucestershire College has continued throughout 2015 and we are already making plans for next year. 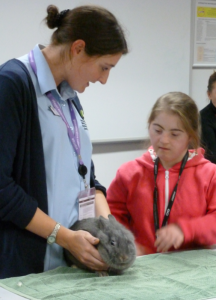 The pupils have enjoyed visiting the Shelter to learn more about our work and responsible pet ownership, as well as getting hands on with the animals and joining in some of the daily tasks around the kennels. Some have even experienced a whole day of working at the Shelter and these placements have been great fun for them and us. For those unable to come to the Shelter we have also been to the college a number of times and given talks, taking a furry friend whenever possible. 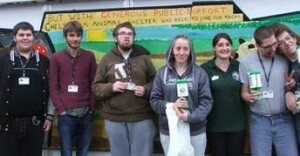 The youngsters have also been fundraising for the Shelter. A recent cake sale held at the college raised over £79, and pictured below are the students delivering their donation to our Education Assistant Jen Protheroe. 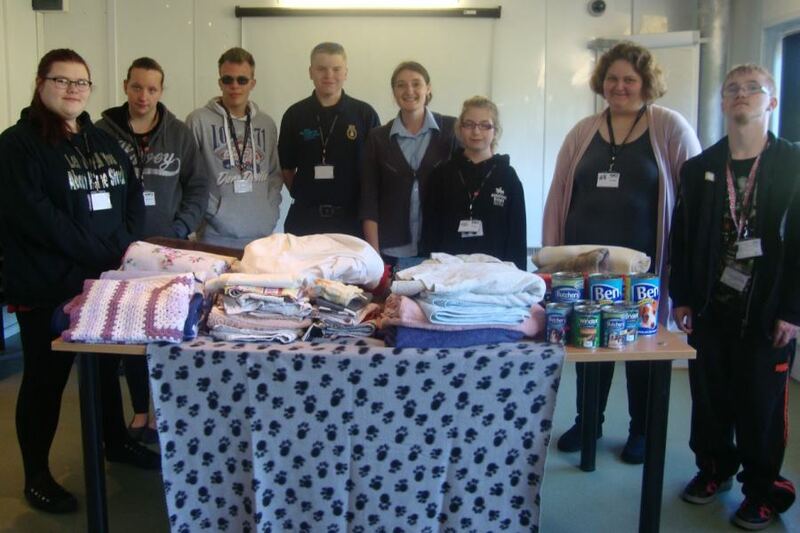 So far this year the college pupils have donated an amazing £565 as well as many blankets, towels and animal food they have collected. We’re really excited to work with them in 2016 and see what else we can achieve together. This entry was posted in Education, Shelter News. Bookmark the permalink.